The Taidam Co-operative Group is a community in a small village in Chiang Karn, Loei (North-eastern Thailand) of ethnic Tai Dam (Black Tai) people. 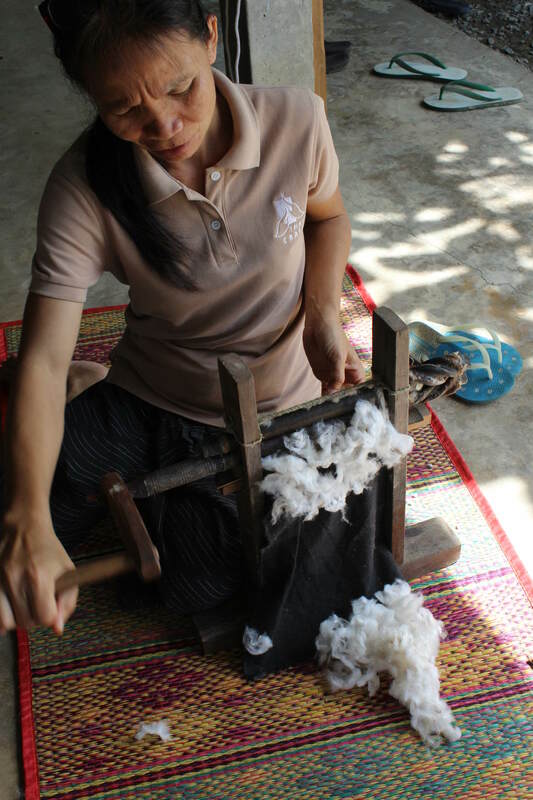 Many generations back, the ancestors migrated from Vietnam to settle in Thailand bringing their traditional textile skills with them. 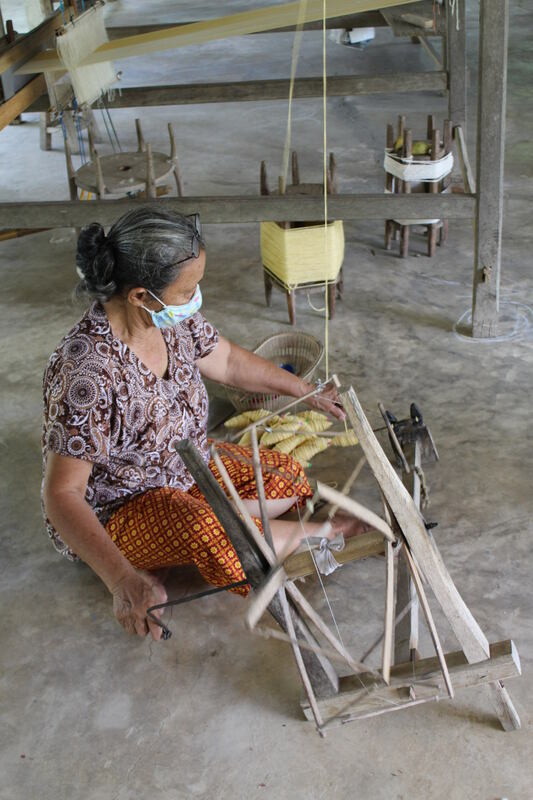 In 2000 leaders in the community formed the Taidam Co-operative Group to conserve Thai traditional weaving textiles. They started with 5 members. 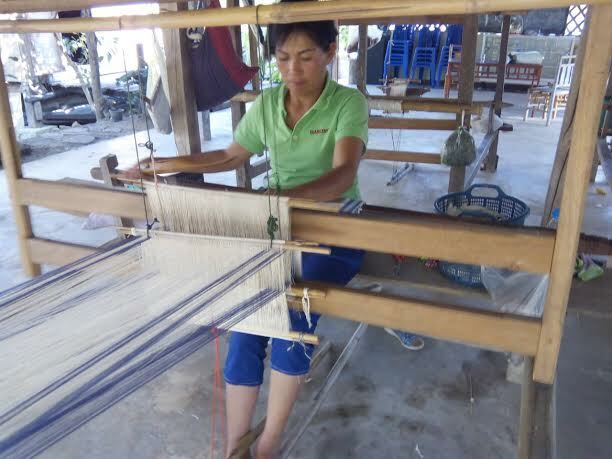 The idea came from the husband of the Co-operative leader, Khun Eat, who actually didn’t see the significance of their traditional textile weaving culture at first. After her husband had an accident she had to stay at home and during this time realised the importance of the community’s textile culture as she saw how her mother and sister created beautiful hand-woven fabrics. She decided the community needed to maintain these skills. Slowly the Co-op has built a sustainable business which allows the community’s rich textile heritage to be kept alive whilst earning income for the community. Beautiful hand-crafted works are created with passion and love by the women in the community. Young and senior women can now stay in their home town to earn their livelihood and skills are being passed on to the next generation. The Co-op is environmentally aware and has an eco-waste management in place. They also run other development activities such as organising English camps for children to learn English. Life Interwoven and Taidam are working together and inspiring each other as we grow. With this inspiration, the group now has 21 members with 12 full-time weavers. Mrs. Somjai Kaewsupa, 66 years old. Somjai has been weaving since she was 12 years old. When she was young she weaved for her own clothes. Now, she also weaves for a living. 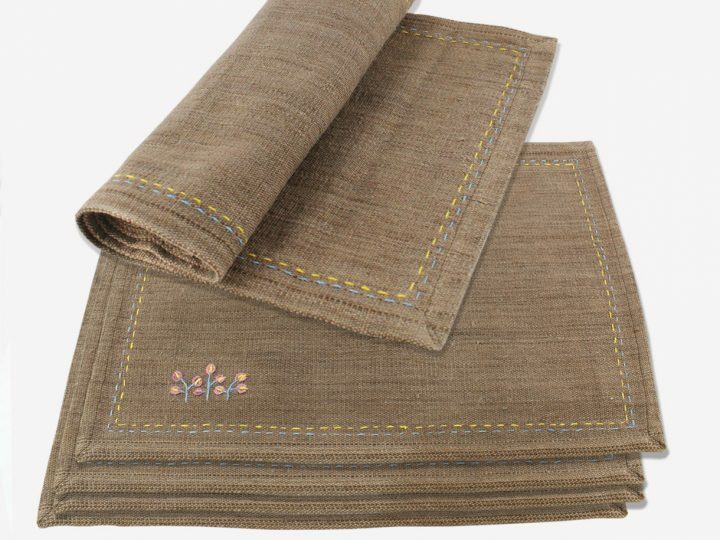 She loves weaving as it is one of her passions in life and she is very happy to weave placemats for everyone. The income she earns supports her family’s living costs. She would like to say “thank you” to all of her customers. Mrs. Scot Chaisena, 45 years old. Scot previously did not enjoy weaving. 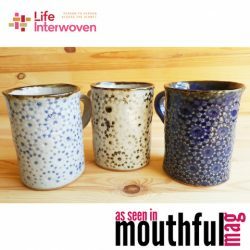 However, when she realised that she could earn an income from weaving for her son’s school fees and for her living costs, she changed her mind. She now enjoys the work and is really happy weaving placemats. Mrs. Mitt Sonpeayyong, 43 years old. Mitt has been weaving for 7 years. Since her husband and her son can’t earn money every day in their rural area, her family has struggled to make ends meet. So the money that she earns from weaving helps her family. 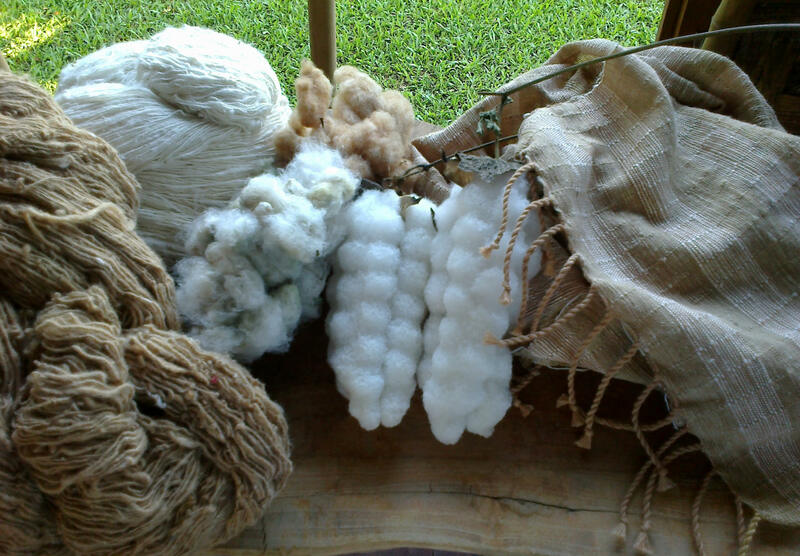 She would like to weave high quality fabrics and hopes our customers enjoy the products. empowering women to earn a fair livelihood and support their families and community.